Ehire Adrianza continued his hot hitting, stroking a single and a run-scoring double in Sunday's 5-1 victory over the Athletics. 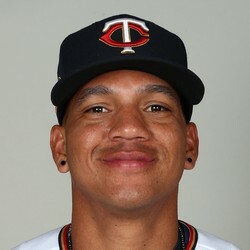 Adrianza is hitting a robust .289 with eight runs and eight RBI over the past two weeks, and has been seeing regular playing time with Miguel Sano out. Even with the little hot streak, he's not worth picking up in the final week due to his lack of power or counting stats that you can rely on.